Plasma OR Arcing Devices for aesthetic purposes and the new European Legislation on Medical Devices. The principle of exclusion in legislation. Why the word “High Intensity”? Because all objects radiate electromagnetic radiations. All devices, like any other object, emit electromagnetic radiation due to their temperature and more. Why does the legislation refer to as “High Intensity Electromagnetic Radiation” (HIER) and not only “Electromagnetic Radiation” ? What are High Intensity Electromagnetic Radiation (HIER) devices as defined by the new legislation? Plasma (or Electrical Arcing) Devices for aesthetic purposes are not equipment emitting High Intensity Electromagnetic Radiation. Historically there has been a clear distinction between aesthetic and medical applications in Europe, aesthetic applications are those which the person does not require to have done due to medical condition. Aesthetic applications and treatments are aimed at improving the looks of the person. There is still a clear distinction between aesthetic and medical applications and the new norm only covers certain types of devices, If they are not part of the new category described by the new legislation they will not be regulated as part of the new MDD starting from May 2020. As we will see the new legislation that will apply to Plasma devices and even from May 2020 after the new legislation has become effective, any electrical arcing devices which has non medical applications will still the remit of the general safety rules of general devices. Generally, self certification for any type of devices which are not inclusive in the new legislation covering only lasers IPL, Lasers and all devices which emit High Intensity Electromagnetic Radiations which have some effect on the human body. 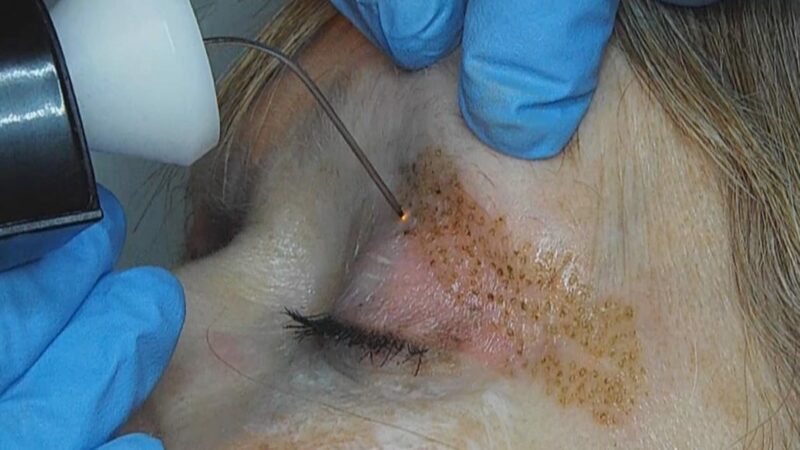 Clarify the operational difference between lasers (or more generally devices emitting High Intensity Electromagnetic Radiation for skin therapy) and plasma devices. e are going to explain how the physics governing the way these devices affect the skin are fundamentally different. This is because the underlining physics of Voltaic plasma, (arcing, electrical sparking etc) is not very well understood by most people in the aesthetic sector and fundamentally different from the . This is why electrical arcs are often confused for light emitting devices like lasers. Clarify the the purpose of the new European legislation on High Intensity Electromagnetic Radiation devices which is coming into force in May 202o. We will clarify what types of devices the new legislation is intended to cover and the devices that are not intended to cover. Demonstrate how plasma devices for aesthetic purposes will still be regulated by the general product safety legislation even after May 2020, because they they do not fall in the remit of the new MDD (Medical Devices Directive). 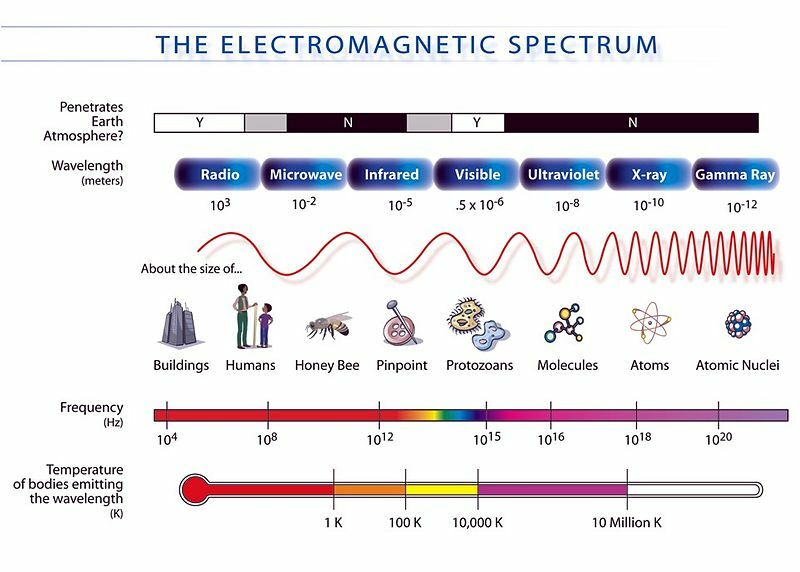 5.High intensity electromagnetic radiation (e.g. infra-red, visible light and ultra-violet) emitting equipment intended for use on the human body, including coherent and non-coherent sources, monochromatic and broad spectrum, such as lasers and intense pulsed light equipment, for skin resurfacing, tattoo or hair removal or other skin treatment. Above we only quoted the part of the new legislation which would appear to be applicable to this type of aesthetic devices, we ignore all the other points of Annex XVI as they are clearly not applicable. To read the full publication please click here. In order to understand the new legislation properly we have to first understand the basic physics of electromagnetic radiations so that we can interpret this legislation correctly. The principle of legislative exclusion means that if the specific legislation does not appear to be explicitly cover a certain sector or type of product, that sector or product will not be the remit of that legislation. In this case by default a more general legislation will apply. Hence, like in this case, if the new legislation does not apply to plasma devices then the more general product safety legislation will apply instead, as of before May 2020. As we can see the new text refers to High Intensity Electromagnetic Radiation Emitting Equipment. The “High Intensity” is a crucial definition. This is because all devices and object radiate (or emit) “Electromagnetic Radiations”. It is a well known fact in physics that any object which has a temperature of above the absolute zero (0 Degrees Kelvin or -274 Degrees centigrade) emits electromagnetic radiations. This is a verifiable fact and common knowledge in science. Additionally this is how infrared cameras (or thermal cameras) capture the image of objects and also measure their temperature. These devices (thermal cameras) directly capture the Electromagnetic radiation emitted by any object and they do not require any external light of any kind to capture the images. Whereas other conventional cameras capture the light reflected by the object and hence require an external light source to be able to see the objects. For more information about Thermal Cameras and how objects always radiate Electromagnetic energy please refer to the following video. Any screen or LED light emits electromagnetic radiation (light). This emissions although visible do not have any significant effect onto the human body other than the visibility of the light itself. As seen above all objects radiate electromagnetic energy and therefore also all devices emit electromagnetic radiations irrespective of the way they are designed or manufactured. As we will see, besides the electromagnetic emissions related to the temperature of the object itself, different devices emit different intensities and levels of electromagnetic emissions. the object’s own temperature. All devices heat up due to their normal operation and reach a certain temperature. At any given temperature the object radiates a certain electromagnetic emission at a certain frequency and intensity, which becomes visible only to infrared cameras/thermal cameras but not the human eye. Of course this type of electromagnetic radiation is of low intensity and has no effect on the human body. The device’s user interface, (like the screen, touch screen, displays, led lights in the controls) and its own mode of operation produce additional electromagnetic emissions. This type of electromagnetic radiations is of very low intensity, sometimes visible to the human eye but has no detrimental effect on the human body. or eyes. Purposeful High Intensity Electromagnetic radiations. Only these types of radiations can cause any significant heat transfer into the human body (and skin). These high intensity electromagnetic emissions can be harmful to the human eye, hence appropriate eye-wear protection must be used for health and safety. This is the case ofh IPLs, Lasers and High Intensity LED Light Therapy devices. These are devices designed in a way to emit high intensity electromagnetic emissions which have a clear effect which are of so high intensity that produce significant heat transfer into the body. In all these cases exposure to this high intensity emissions are clearly felt by the human body. Generally, almost all devices for skin therapy are part of case 1 and 2 described above. Most devices have either a user interface emitting light (electromagnetic radiation) and all of them operate at a temperature above 0 Degrees Kelvin. Because of the low intensity of the Electromagnetic emissions these devices although all emit electromagnetic radiations they will not be remit of the new category, even if they are intended to treat the body. Only the last type of radiations emitted by devices intended to treat the body will be remit of the new category and hence regulated by the MDD (Medical Devices Directive). Up until May 2020 devices which have no clear medical remit are not covered by the MDD (Medical Devices Directive). 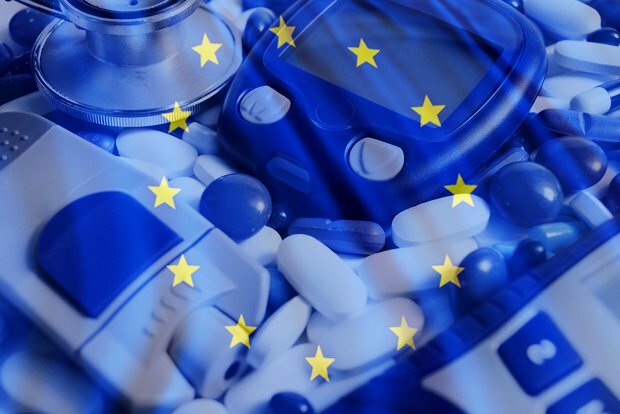 Only certain devices clearly defined by the new legislation will be covered by the MDD (Medical Devices Directive) after May 2020. As we have seen, all devices and objects emit electromagnetic radiations. Without the term “High Intensity” all devices would have fallen into the new category by default. In other words because all devices do emit electromagnetic radiation, the term “High intensity Electromagnetic Radiation (HIER) is to be interpreted that type of radiation which as of itself has some intended or tangible effects onto the skin or body. It is clear that the new legislation do not include all Electromagnetic Emitting Devices, otherwise all devices would have been included in the new category. If the legislator wanted to include all devices for skin therapy then the new text of law would have not chosen the wording “High Intensity” and more specifically it would have included all devices for skin treatment. The legislator intended to purposefully single out only those devices that emit such “high intensity” electromagnetic radiations that these emissions do cause a significant heat transfer into the body, which is then resulting in skin resurfacing, tattoo removal and other aesthetic treatments. In other words, the main reason for the legislator to place the wording “High Intensity” before the term “Electromagnetic Radiation” is to include only a certain types of devices within the new MDD (Medical Devices Directive) remit . These are those devices which emit high enough electromagnetic emissions which will cause enough heat transfer into the skin in order to achieve the aesthetic treatments desired. This does not mean that all devices which transfer heat into the body or skin by other means are included within the new category. If a device transfers heat into the body in a different way other than using light to do so, it will not be included in the new category and old more general legislation will still apply as after May 2020 as today. Only those devices which use light (or High Intensity Electromagnetic Radiations) to cause the heat transfer will be regulated by the new MDD (Medical Devices Directive) and all other equipment although they all emit light or electromagnetic emission will be unaffected by the new legislation. Clearly, those devices (although emitting light) that transfer heat by means other than electromagnetic radiations and are intended for skin treatments including tattoo removal etc will not require MDD regulation. So we have seen that all devices emit Electromagnetic radiation. Therefore what types of devices does the new legislation refer to? High Intensity Electromagnetic Emitting equipment are all devices which are designed in order to emit such a high high intensity radiation which in and of itself (the Electromagnetic radiation) has a noticeable effect into the human body and the skin in general. The new legislation does not set set any physical parameters as the intensity of the electromagnetic radiation. Since the new legislation mentions “High Intensity” only, and it does neither provide any specific quantitative limits nor thresholds in intensity or frequency of the electromagnetic radiation itself, how can we practically recognise such HIER devices? The two examples (lasers and IPLs) mentioned by the legislation itself can come to help. Lasers. As we know it is actually the very coherent light produced by the laser that cause the effect on tot he skin. The new legislation also refers to IPL (Intense Pulsed Light) devices. These devices are an example of the incoherent light source producing equipment, whose light is of such high intensity and has a tangible effect on the skin and human body. This is because the light emitted is broad spectrum and incoherent and the light emitted has such high intensity that it has an appreciable and significant effect on the skin. All these HIER devices do require protective eye-wear for their operation. This is because even indirect exposure of the eyes to this High Intensity Electromagnetic Radiation can cause damage to the eyesight which could be also permanent in some cases and this is an health and safety requirement. So HIER Devices are those which the Intensity Of the Electromagnetic Radiation is of so “High Intensity” that the radiation itself has a significant effect on the skin and protective eye-wear is required to be used during their normal operation. 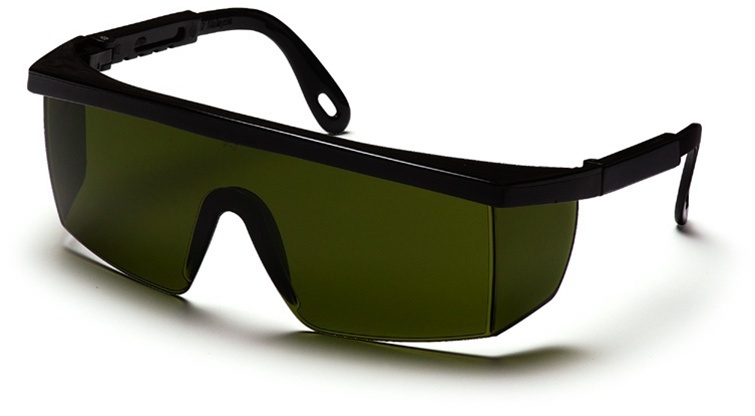 Protective eye-wear to be worn during the normal use of HIER Devices. This is because direct and sometimes indirect exposure to HIER can be harmful to the eyes. Electrical Arcing or Electrical Spark. The arcing process produces a very low light source with no effect on the human body. The light emitted can be observed by the naked eye without risk to the vision. This is due to the very low intensity of the electromagnetic emissions of electrical sparking. The new legislation is intended to cover only those devices emitting high intensity electromagnetic radiations which has some effect on to the skin. The intensity of the light emitted by arcing or plasma devices is very low. These broadband low intensity electromagnetic emissions of the electrical arc, although visible to the eye (like the light emitted by most users interfaces) cannot be felt by the human body. This light has no effect whatsoever on the skin or the human body. Generally the emissions intensity is so low, that plasma is generally adopted in several different industries without the use of any protective eye-ware, like in case of lasers . The most powerful electrical arcs known are lightening. Even the light emitted by lightening is has no effect on the human body and it can be observed by the naked eye without any hazards to the vision. Also, the light associated to such powerful arcs does not affect the human body (like heat transfer etc). It has to be borne in mind that it is not the light emitted by the lightening that makes it dangerous, but the power associated to its electric discharge. Obviously the power associated to most voltaic arcing devices is thousands times lower than those of lightening. The physics behind heat transmission using plasma are very different than those of HIER, The way heat is transmitted during arcing is the same as that of radio frequency devices, “electrolysis” etc (which is by means of electric discharge or using electricity). Plasma (or electrical arcing) devices for aesthetic purposes, emit low intensity electromagnetic radiations (which are of lower intensity than most user interface screens). Lightning is the most powerful arc in nature. The light emitted by this high power phenomenon has no effect on the human body, even when the electrical discharges are this powerful. Plasma is used in all industries, including manufacturing and assembly lines as well as medicine and aesthetics. In no instances protective eye-ware is required . This is because the broad spectrum electromagnetic energy (light) emitted by the electric spark is of such low intensity that is not dangerous and it can be observed directly by the human naked eye without any hazards. Also as we know there are more potent sparks in nature than those used in aesthetic by electrical arcing devices, these are Lightening. No one has ever been blinded or affected by the light produced by the lightening. No one has ever issued a warning to wear protective eye-ware during a thunderstorm. This is clear simply because the light emitted by the potent electrical spark (lightening) is of very low intensity and does not cause any harm on the human body. To be clear the danger posed by lightening is not due to the light itself, but the power of the electrical discharge itself. 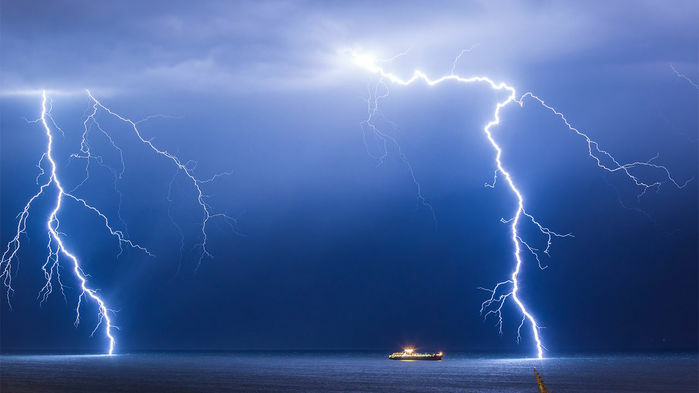 Therefore if the light emitted by a lightening (the highest intensity electrical arc known in nature) can be observed by the naked eye at any distance and has no effect on the human body then the electromagnetic radiations of those small arcs emitted by devices used in aesthetic applications are extremely low. Also trying to compare the luminescence of the electrical arcs used in aesthetics and those of a mobile phone screen it is easly found that the light intensity of the mobile device screen is several times higher than that of the electrical arc. 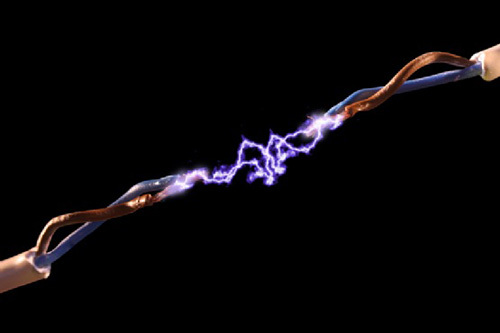 Electrical discharge in air during a routine aesthetic treatment. The light emitted by the electrical arc has very low intensity. No protective eye-wear is used by the user and the subject undergoing the treatment. This is because the light emitted by the arc has so low intensity that it can be observed by the naked eye without incurring into any health and safety hazards. Electrical arcing devices emit low intensity electromagnetic radiations. These radiations are incoherent and of broad spectrum like those radiated by most other user interfaces like LED screen and touch screens. However the light emitted by plasma devices is of lower intensity than that of a mobile phone screen and most other user interfaces. The light emitted by the electrical discharge has neither effect on the skin nor the human body. It is the electrical discharge (and not the light emitted by the electrical discharge) which causes the heat propagation into the skin. This applies to any type of arcing in air and carrier gasses. The light emitted by the electrical arcing for aesthetic purposes has very low intensity and it has clearly neither any effect on the human body nor the skin. For all the reasons above plasma devices for aesthetic purposes are not High Intensity Electromagnetic Emitting devices and therefore they are not part of the new legislation‘s remit. As a consequence the MDD (Medical Devices Directive) will not apply to plasma devices also after the new legislation will come into force in May 2020.